Boost your gaming profile with these sweet rewards. 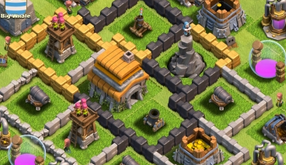 Clash of Clans is the sort of game that provides ample rewards, especially as you put more time into it. Part of those rewards come in the form of in-game Achievements, which you can add to either your GameCenter collection or Google Play account, depending on the platform. This latest video walks you through how to unlock some of these Achievements.